Urban Pesticide Runoff and Mitigation provides information on pesticides, their impact on our water resources, and practical solutions for reducing runoff. Continuing Education Units (CEUs) are available from the Department of Pesticide Regulation (DPR) after completion of this course. 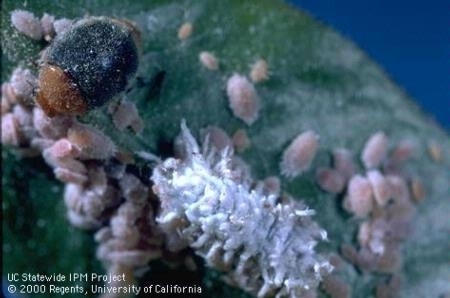 Maintenance Gardener Pesticide Applicator Exam Preparation Course will help maintenance gardeners prepare to take the California Department of Pesticide Regulation certified applicator (QAC) exam in category Q. Introduction to Pesticides for Retail Employees provides training for employees and others who advise consumers about home and garden pesticides. Moving Beyond Pesticides—Environmentally Safe Tools for Use in an IPM Program for Retail Employees explains the best tools and products for solving pest problems. Includes a basic overview of Integrated Pest Management and diagnosing pest problems. These course can be accessed at the UC IPM website. Some of the materials are available in Spanish. Great to partner with you. would you help me to learn more in the field of agriculture? It is great to partner with you too! We look forward to helping you learn more about agriculture. How can we help you? Thank you for contacting us. We are happy to help and hope the following links will be useful. Please contact us for additional assistance as needed. I have been working in pest control field for more than 13 years as a supervisor and service coordinator in srilanka as well as middle east. i would like to undergo for a professional training about integrated pest management. I have been working in pest control sector more then 10 year as manager in sri lanka. Look around for the courses that best suit you. Climate Smart Agriculture: What Is It and Why Is It Important? Twenty Minutes to Educate Students about the Food System ... Go!